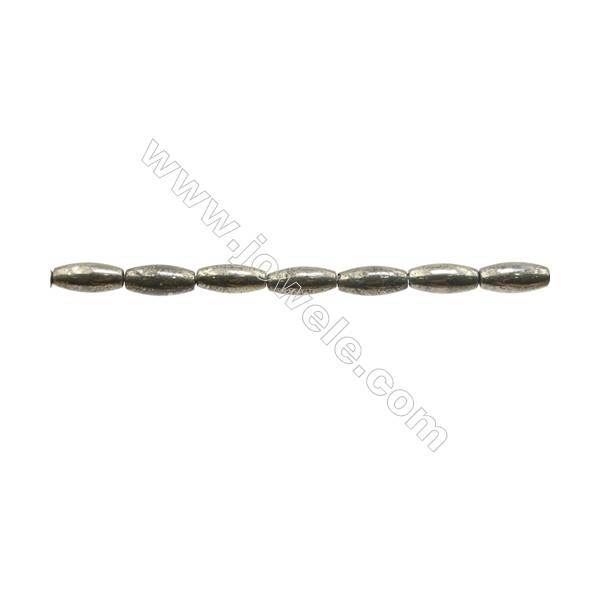 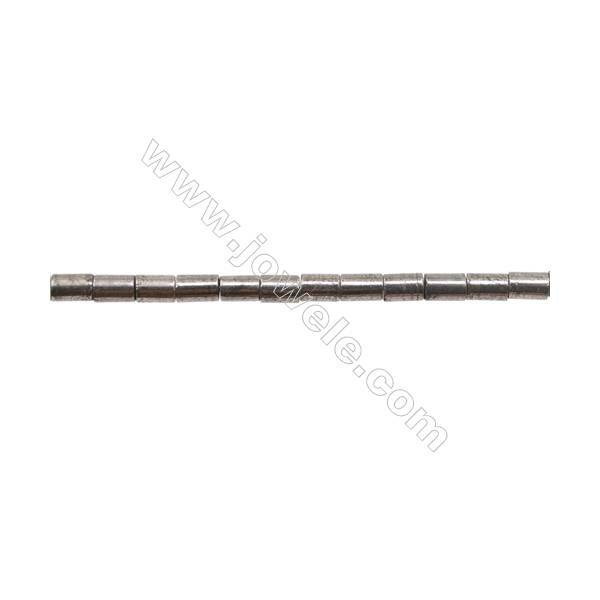 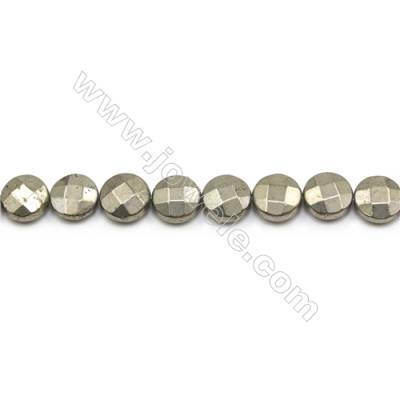 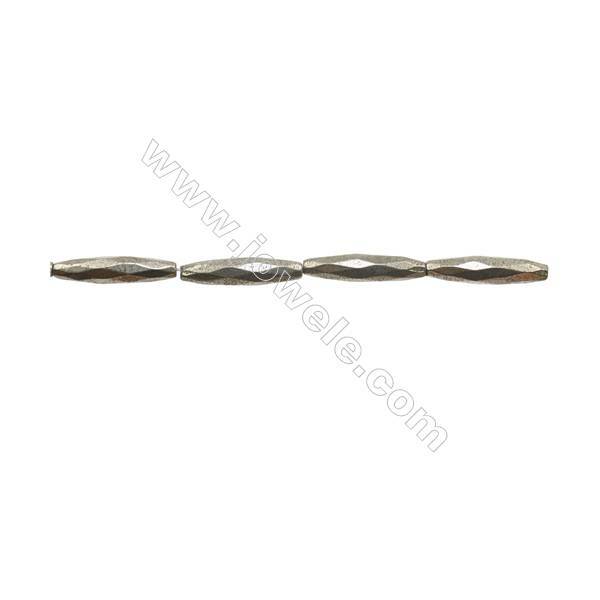 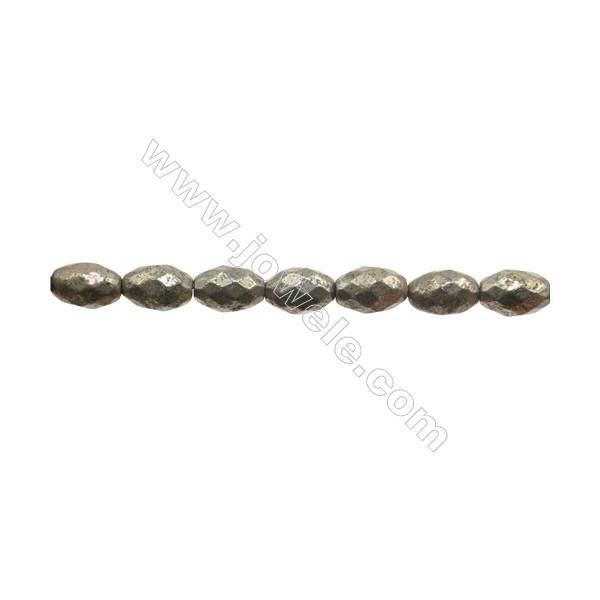 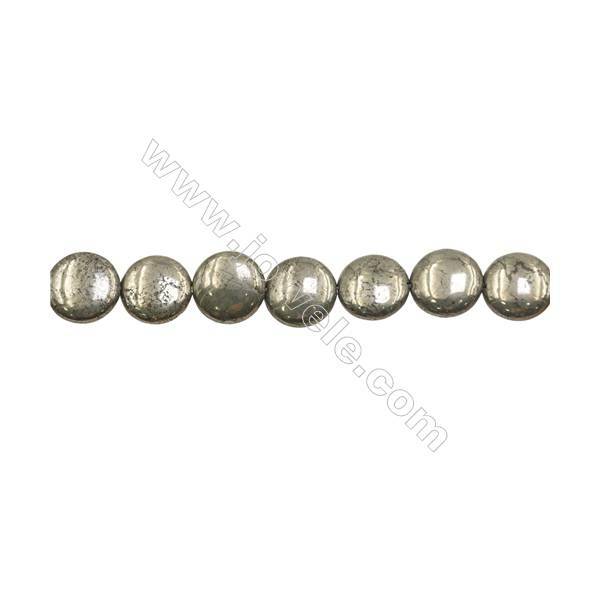 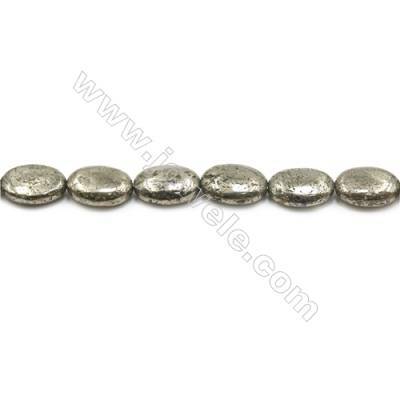 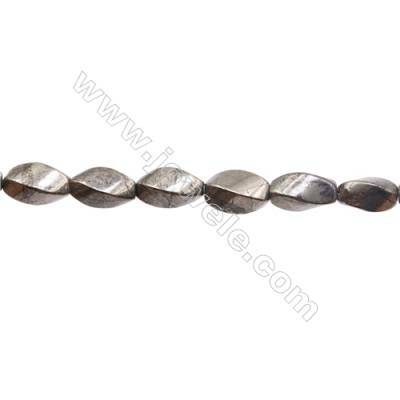 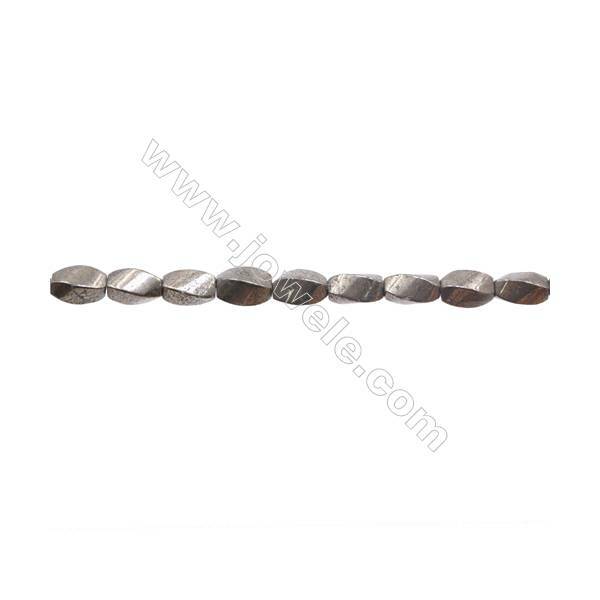 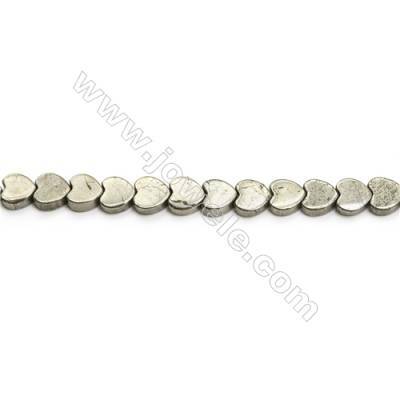 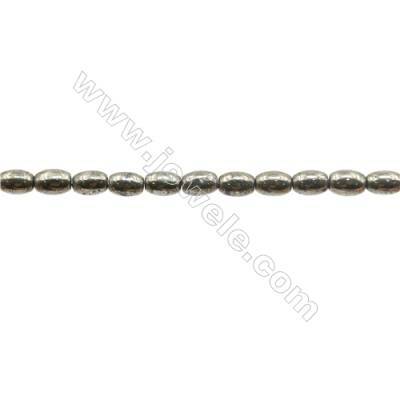 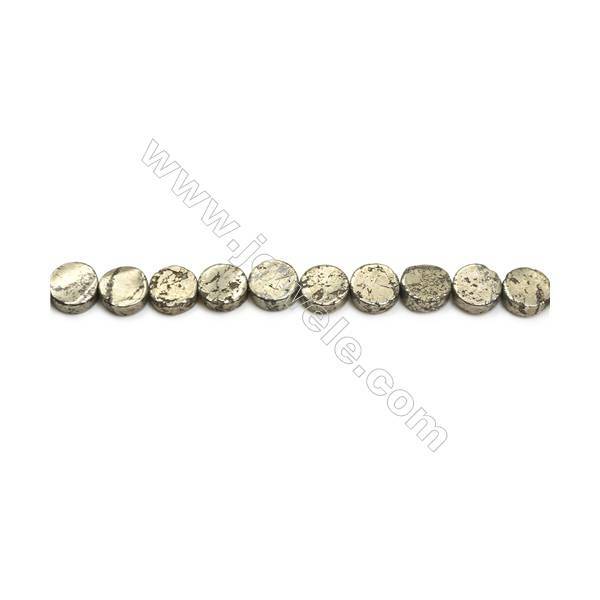 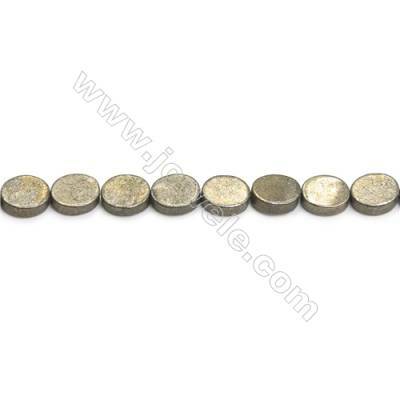 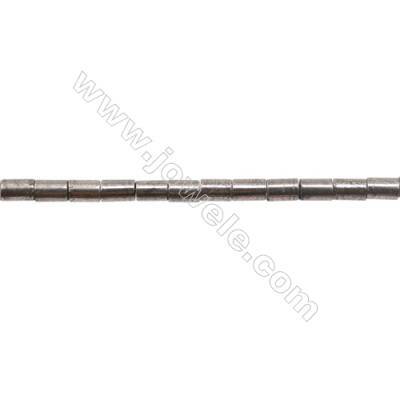 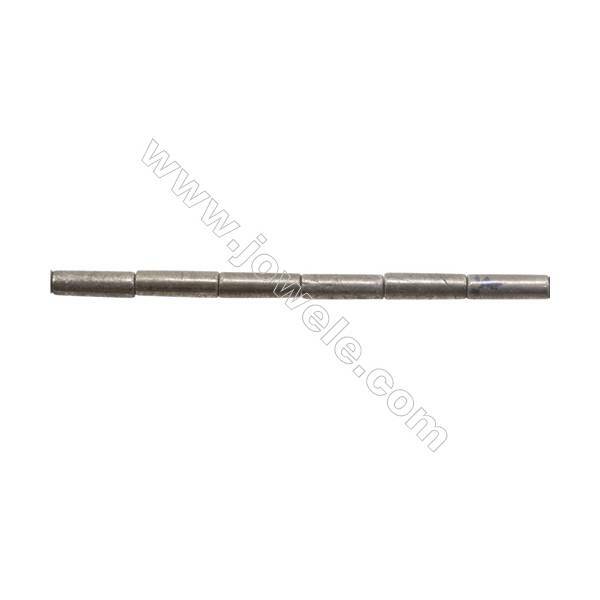 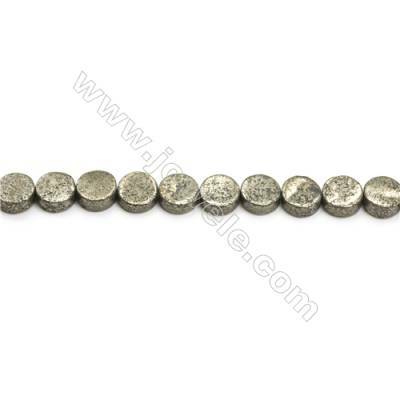 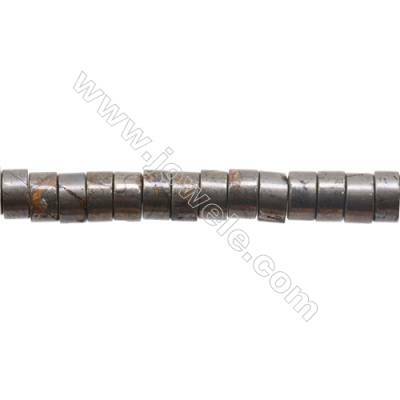 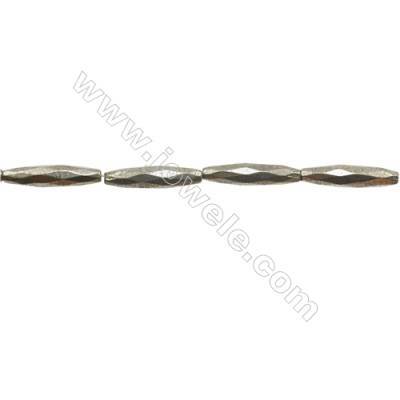 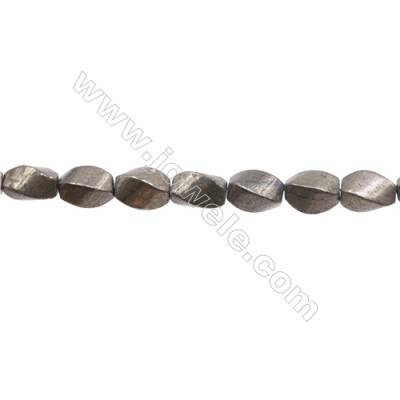 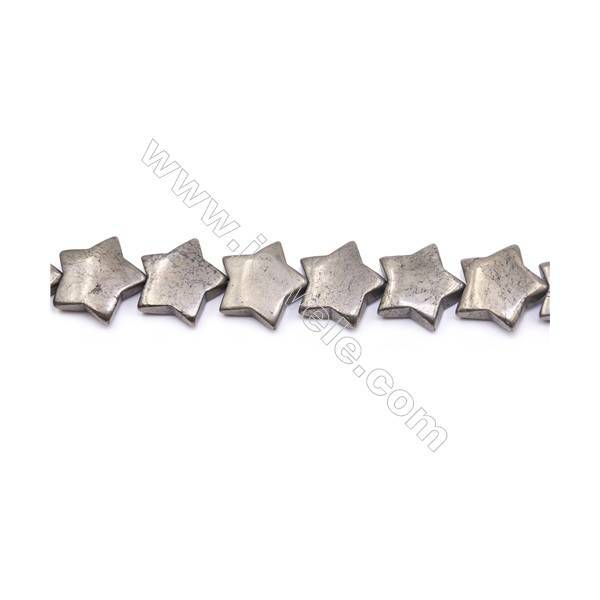 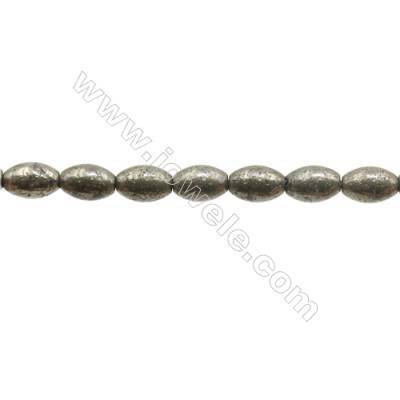 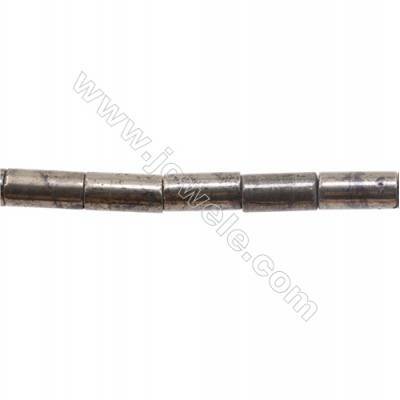 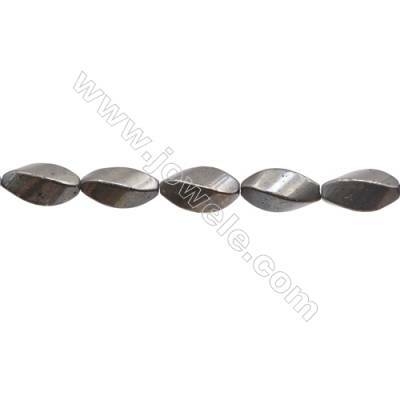 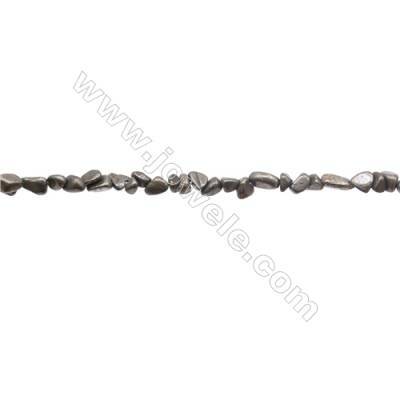 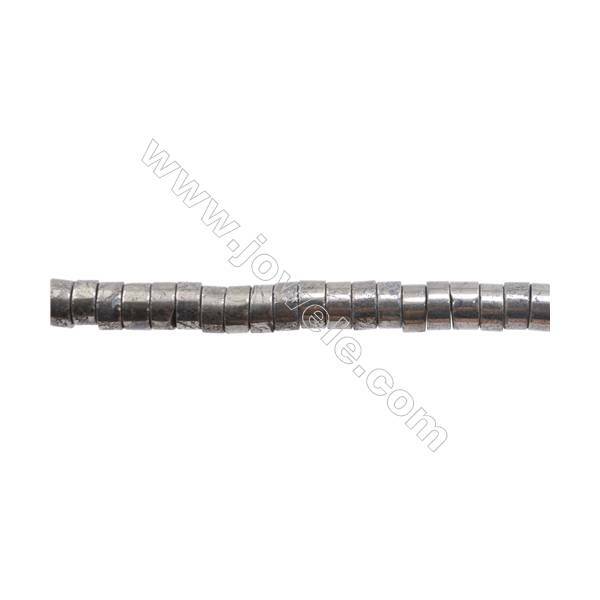 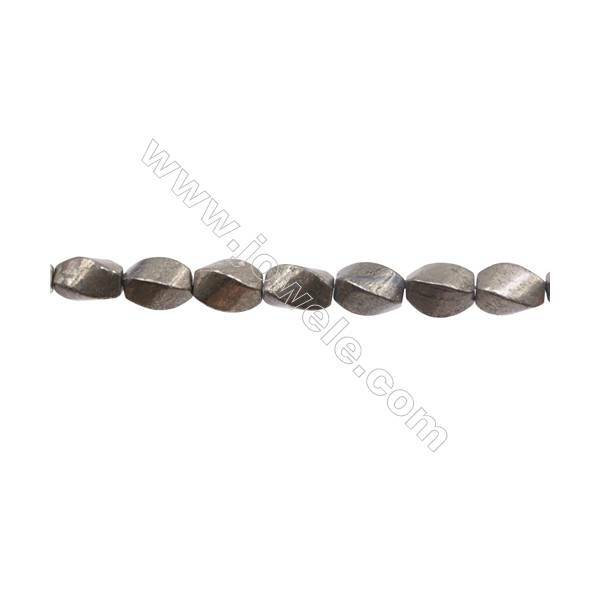 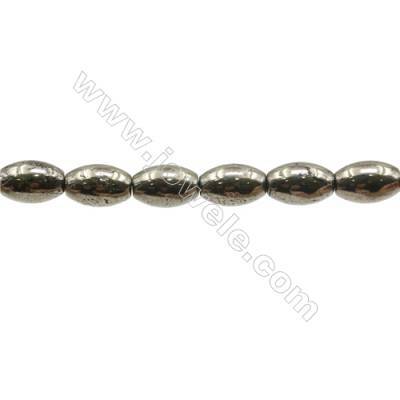 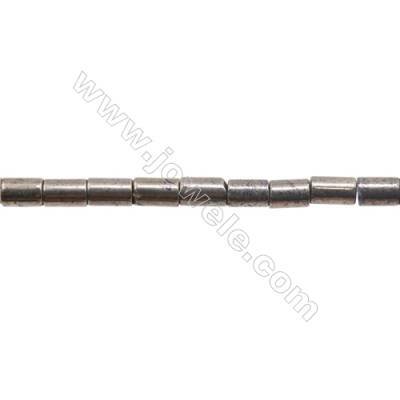 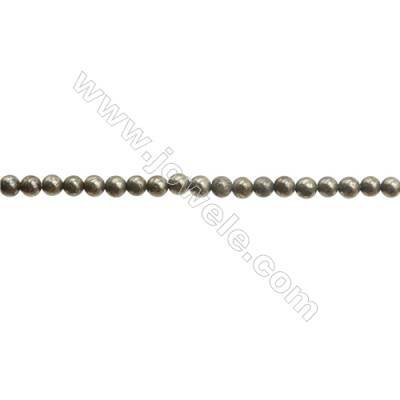 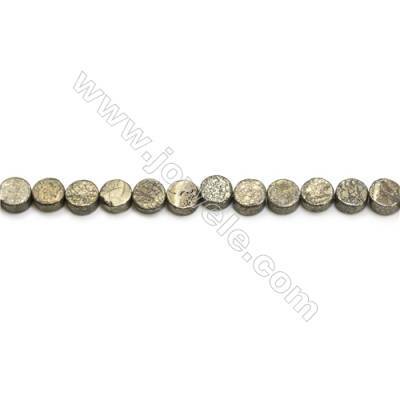 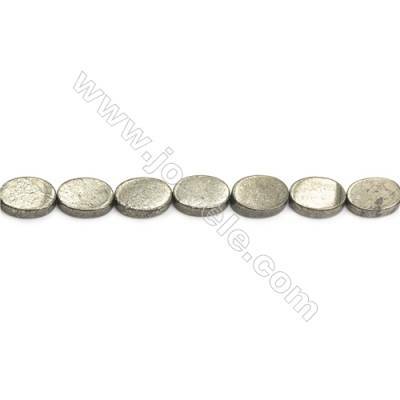 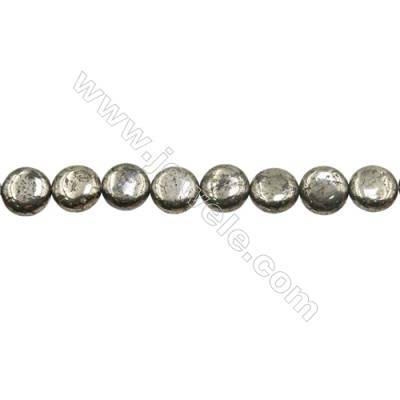 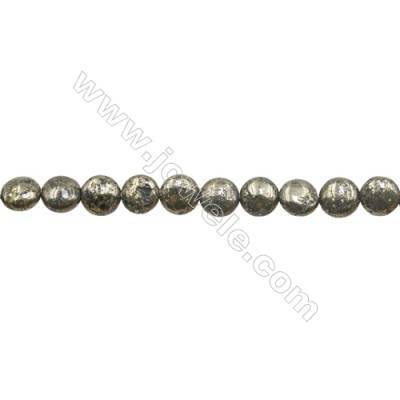 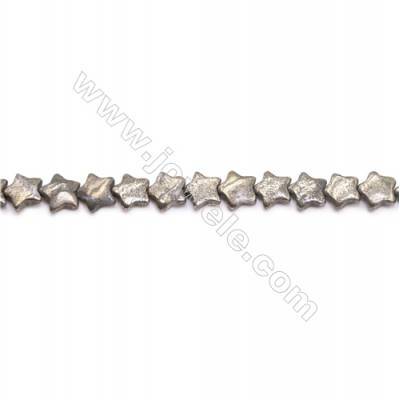 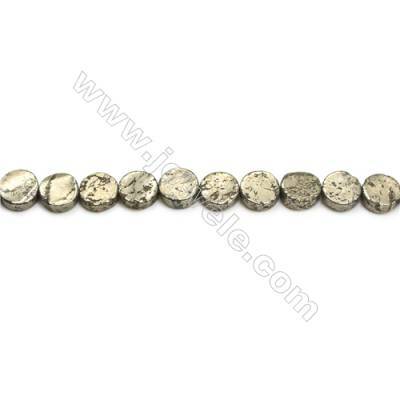 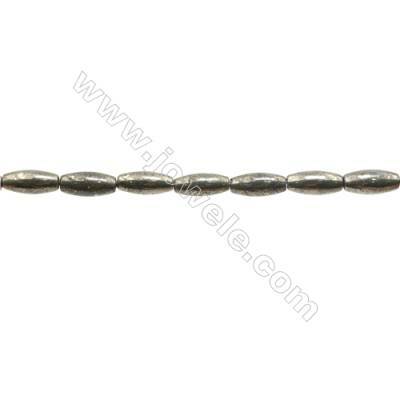 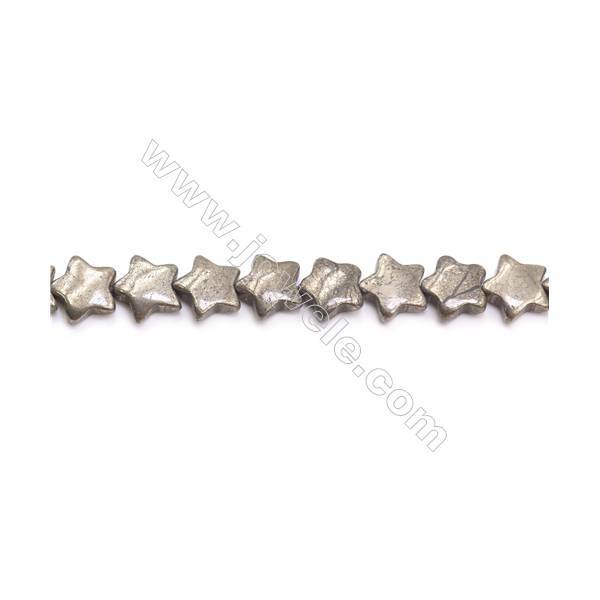 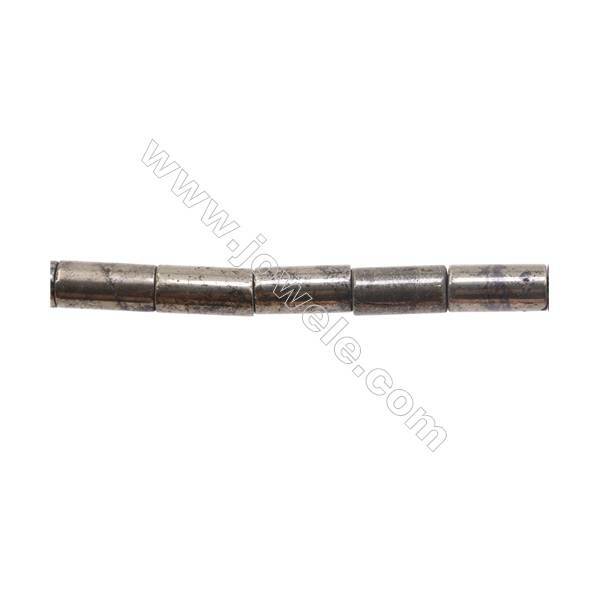 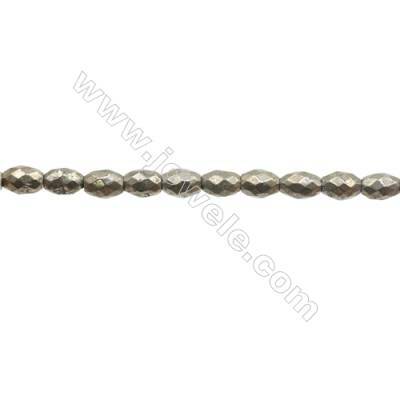 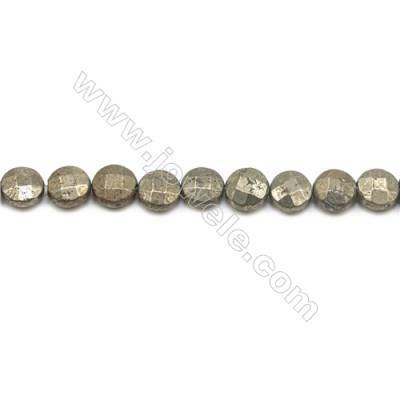 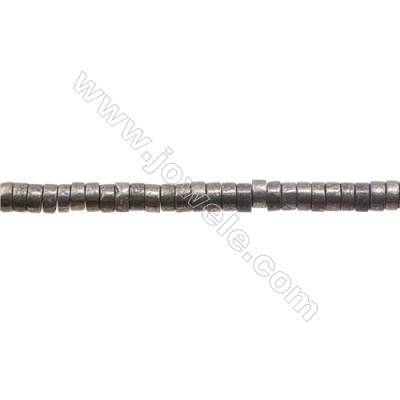 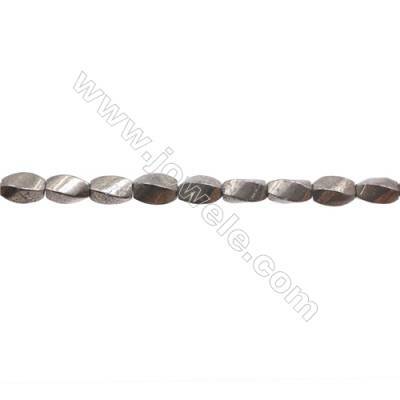 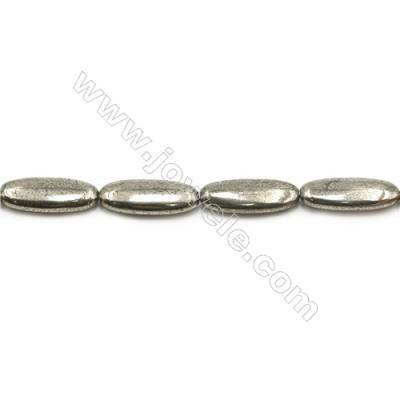 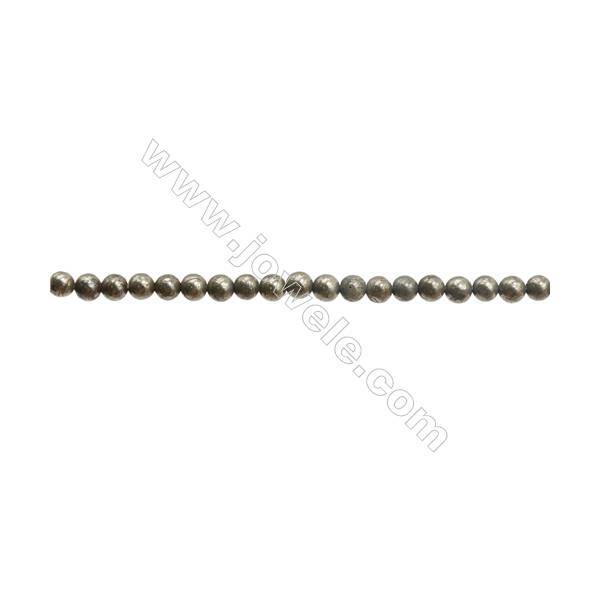 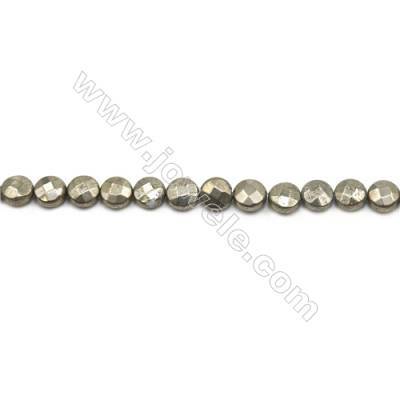 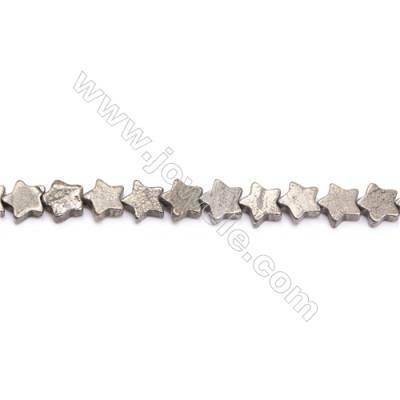 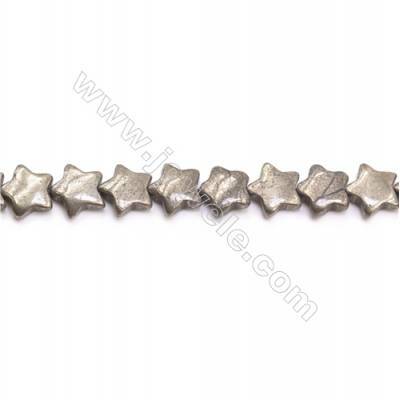 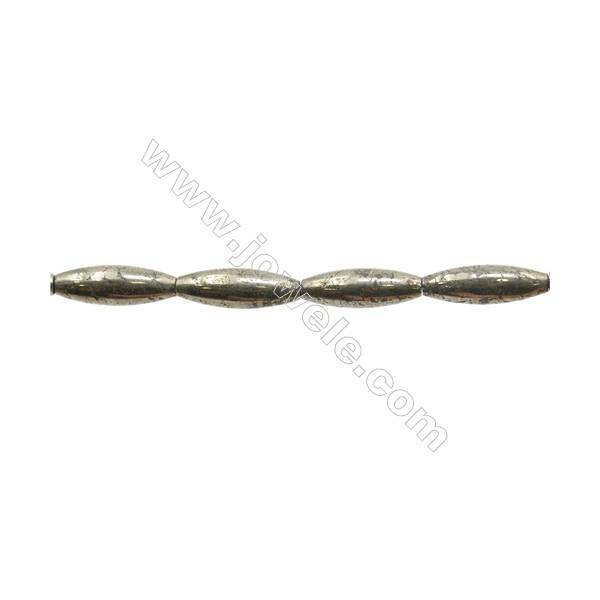 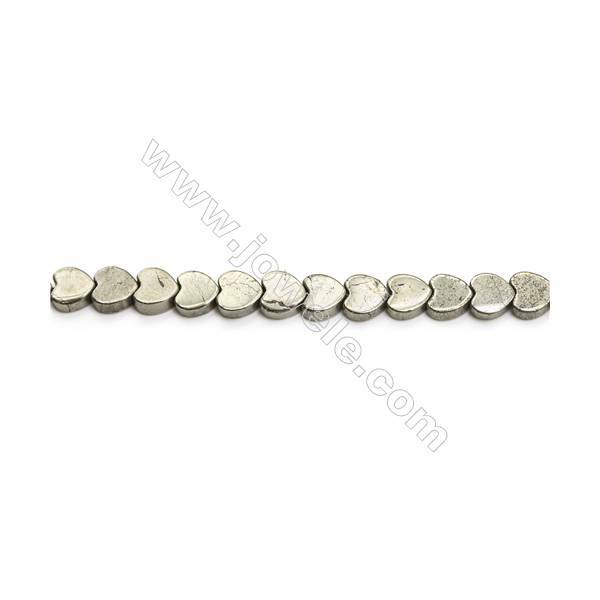 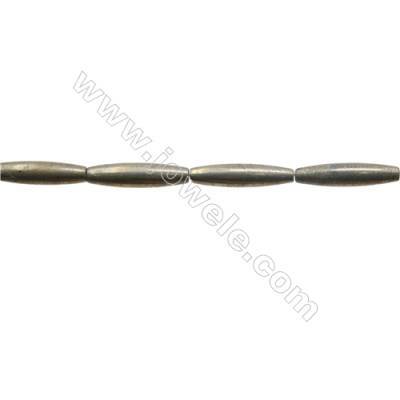 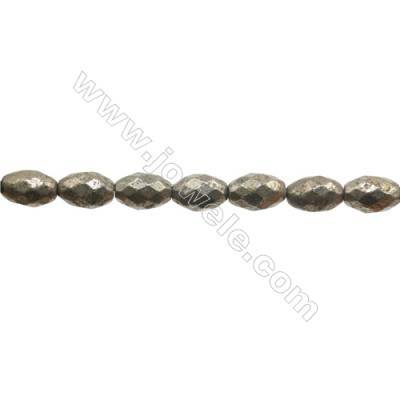 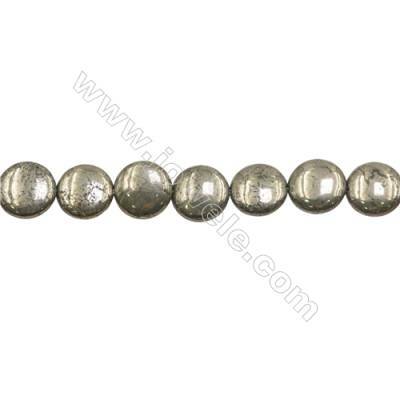 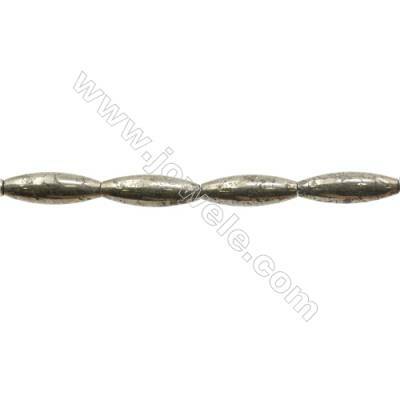 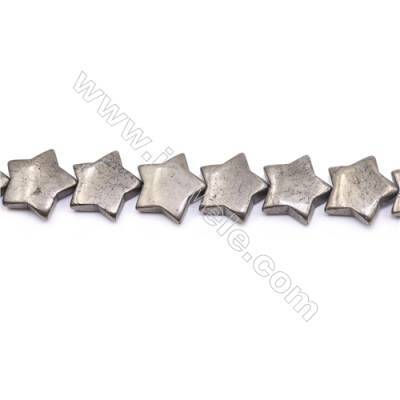 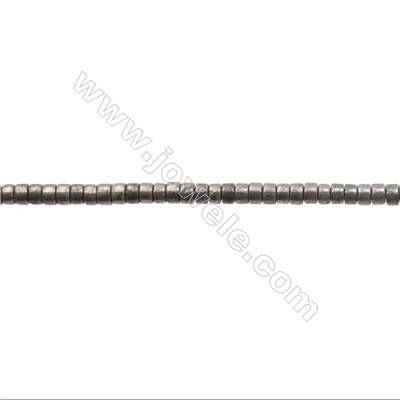 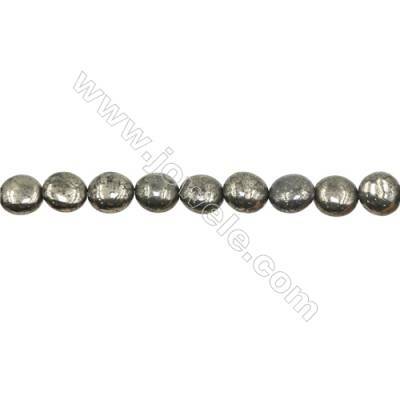 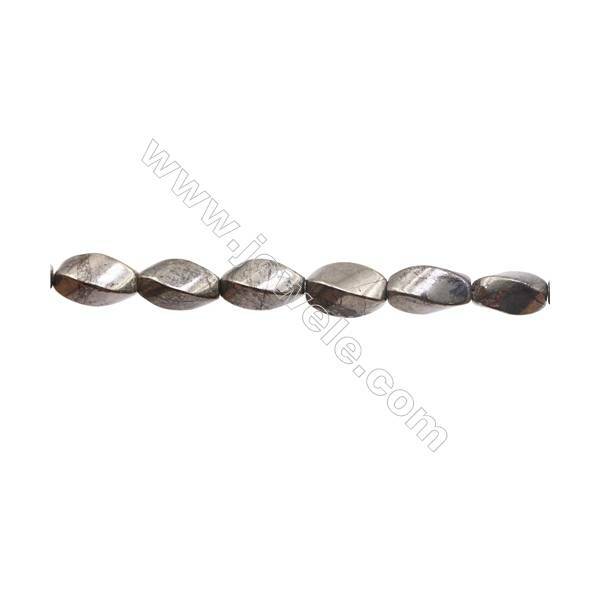 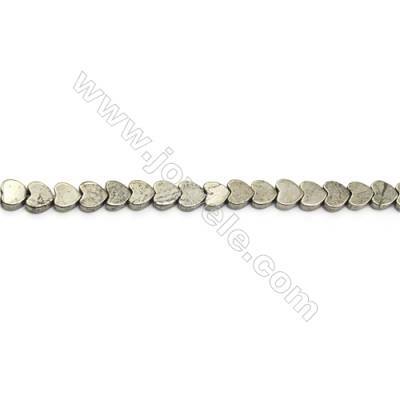 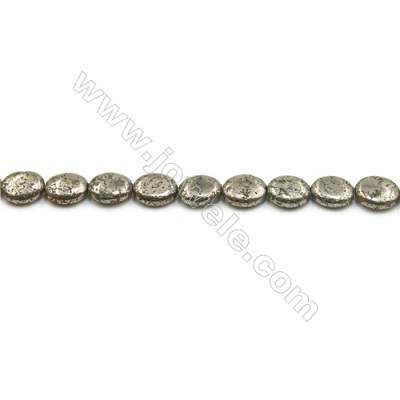 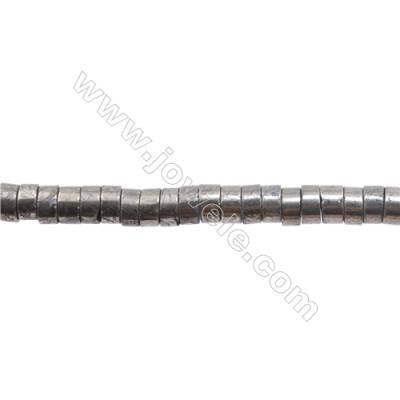 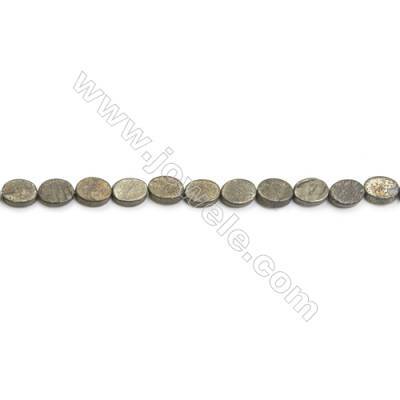 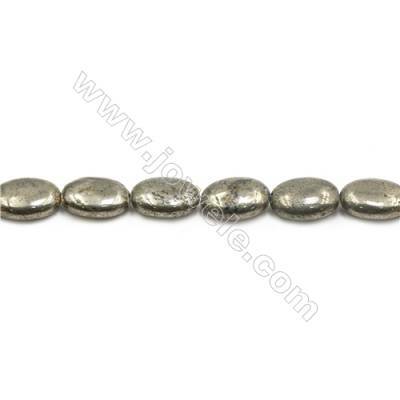 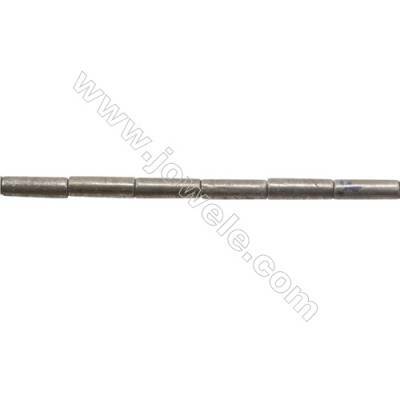 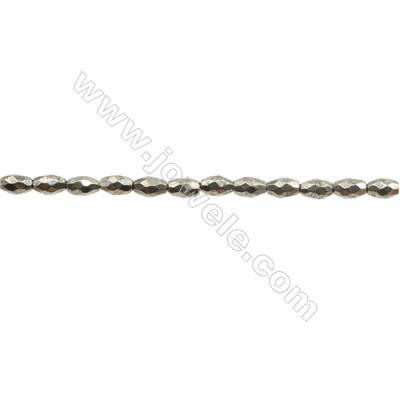 Jowele provides a series of Pyrite beads, Pyrite pendants, Pyrite connectors and so on. To harness the powerful and protective vibes of Pyrite, give your self-confidence a boost when you use this warrior stone in a prosperity or aspiration healing layout. 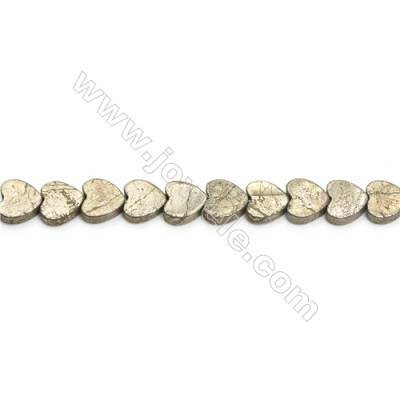 Incorporating several stones with Pyrite allows for even more powerful vibrations because it forms a union of energies between the stones using the ancient principles of sacred geometry. 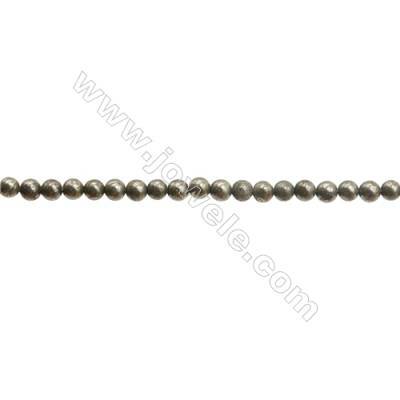 Natural Pyrite Beads Strand Round Diameter 2mm Hole 0.3mm about 195 beads/strand 15~16"
Natural Pyrite Beads Strand Round Diameter 3mm Hole 0.6mm about 127 beads/strand 15~16"
Natural Pyrite Beads Strand Round Diameter 4mm Hole 0.8mm about 96 beads/strand 15~16"
Natural Pyrite Beads Strand Round Diameter 6mm Hole 1mm about 67 beads/strand 15~16"
Natural Pyrite Beads Strand Round Diameter 8mm Hole1mm about 53 beads/strand 15~16"
Natural Pyrite Beads Strand Round Diameter 10mm Hole 1mm about 40 beads/strand 15~16"
Natural Pyrite Beads Strand Round Diameter 12mm Hole 1.5mm about 33 beads/strand 15~16"
Natural Pyrite Beads Strand Faceted Round Diameter 4mm Hole 0.8mm about 106 beads/strand 15~16"
Natural Pyrite Beads Strand Faceted Round Diameter 6mm Hole 1mm about 70 beads/strand 15~16"
Natural Pyrite Beads Strand Faceted Round Diameter 8mm Hole 1mm about 49 beads/strand 15~16"
Natural Pyrite Beads Strand Faceted Round Diameter 10mm Hole 1mm about 40 beads/strand 15~16"
Natural Pyrite Beads Strand Faceted Round Diameter 12mm Hole 1.5mm about 33 beads/strand 15~16"
Natural Pyrite Beads Strand Column Size 5x8mm Hole 0.8mm about 51 beads/strand 15~16"
Natural Pyrite Beads Strand Column Size 4x13mm Hole 0.8mm about 30 beads/strand 15~16"
Natural Pyrite Beads Strand Column Size 4x6mm Hole 0.8mm about 64 beads/strand 15~16"
Natural Pyrite Beads Strand Column Size 8x16mm Hole 1mm about 25 beads/strand 15~16"
Natural Pyrite Beads Strand Column Size 5x10mm Hole 1mm about 72 beads/strand 15~16"
Natural Pyrite Beads Strand Column Size 4x6mm Hole 0.8mm about 126 beads/strand 15~16"
Natural Pyrite Beads Strand Column Size 4x8mm Hole 0.8mm about 93 beads/strand 15~16"
Natural Pyrite Beads Strand Column Size 2x3mm Hole 0.5mm about 183 beads/strand 15~16"
Natural Pyrite Beads Strand Rice Size 5x12mm Hole 0.7mm about 32 beads/strand 15~16"
Natural Pyrite Beads Strand Rice Size 10x16mm Hole 1mm about 26 beads/strand 15~16"
Natural Pyrite Beads Strand Rice Size 7x30mm Hole 1mm about 13 beads/strand 15~16"
Natural Pyrite Beads Strand Rice Size 10x30mm Hole 1mm about 13 beads/strand 15~16"
Natural Pyrite Beads Strand Rice Size 8x12mm Hole 1mm about 32 beads/strand 15~16"
Natural Pyrite Beads Strand Rice Size 4x6mm Hole 0.8mm about 62 beads/strand 15~16"
Natural Pyrite Beads Strand Flat Round Diameter 8mm Hole 0.8mm about 48 beads/strand 15~16"
Natural Pyrite Beads Strand Flat Round Diameter 10mm Hole 1mm about 40 beads/strand 15~16"
Natural Pyrite Beads Strand Faceted Rice Size 4x6mm Hole 0.8mm about 63 beads/strand 15~16"
Natural Pyrite Beads Strand Flat Round Diameter 12mm Hole 1mm about 33 beads/strand 15~16"
Natural Pyrite Beads Strand Flat Round Diameter 14mm Hole 1mm about 28 beads/strand 15~16"
Natural Pyrite Beads Strand Faceted Rice Size 6x8mm Hole 1mm about 48 beads/strand 15~16"
Natural Pyrite Beads Strand Heart Size 6x6mm Hole 0.8mm about 86 beads/strand 15~16"
Natural Pyrite Beads Strand Flat Round Diameter 6mm Hole 0.5mm about 62 beads/strand 15~16"
Natural Pyrite Beads Strand Faceted Rice Size 8x12mm Hole 1mm about 32 beads/strand 15~16"
Natural Pyrite Beads Strand Flat Round Diameter 8mm Hole 0.8mm about 49 beads/strand 15~16"
Natural Pyrite Beads Strand Heart Size 8x8mm Hole 1mm about 54 beads/strand 15~16"
Natural Pyrite Beads Strand Flat Round Diameter 10mm Hole 1mm about 39 beads/strand 15~16"
Natural Pyrite Beads Strand Faceted Rice Size 7x30mm Hole 1mm about 13 beads/strand 15~16"
Natural Pyrite Beads Strand Faceted Flat Round Diameter 8mm Hole 0.8mm about 48 beads/strand 15~16"
Natural Pyrite Beads Strand Heart Size 10x10mm Hole 1mm about 45 beads/strand 15~16"
Natural Pyrite Beads Strand Faceted Flat Round Diameter 10mm Hole 1mm about 41 beads/strand 15~16"
Natural Pyrite Beads Strand Faceted Flat Round Diameter 12mm Hole 1mm about 32 beads/strand 15~16"
Natural Pyrite Beads Strand Star Size 10x10mm Hole 0.8mm about 44 beads/strand 15~16"
Natural Pyrite Beads Strand Oval Size 8x10mm Hole 0.8mm about 40 beads/strand 15~16"
Natural Pyrite Beads Strand Star Size 12x12mm Hole 1mm about 37 beads/strand 15~16"
Natural Pyrite Beads Strand Flat Oval Size 12x16mm Hole 1mm about 25 beads/strand 15~16"
Natural Pyrite Beads Strand Flat Star Size 20x20mm Hole 1.5mm about 23 beads/strand 15~16"
Natural Pyrite Beads Strand Star Size 10x10mm Hole 1mm about 48 beads/strand 15~16"
Natural Pyrite Beads Strand Twisted Size 8x12mm Hole 1mm about 33 beads/strand 15~16"
Natural Pyrite Beads Strand Twisted Size 8x16mm Hole 1mm about 24 beads/strand 15~16"
Natural Pyrite Beads Strand Flat Oval Size 13x18mm Hole 1mm about 22 beads/strand 15~16"
Natural Pyrite Beads Strand Flat Oval Size 15x20mm Hole 1mm about 20 beads/strand 15~16"
Natural Pyrite Beads Strand Twisted Size 6x10mm Hole 1mm about 48 beads/strand 15~16"
Natural Pyrite Beads Strand Flat Oval Size 10x25mm Hole 1mm about 16 beads/strand 15~16"
Natural Pyrite Beads Strand Flat Oval Size 6x8mm Hole 0.6mm about 50 beads/strand 15~16"
Natural Pyrite Beads Strand Twisted Size 10x20mm Hole 1mm about 20 beads/strand 15~16"
Natural Pyrite Beads Strand Flat Oval Size 8x10mm Hole 0.8mm about 39 beads/strand 15~16"
Natural Pyrite Beads Strand Oval Size 10x14mm Hole 1mm about 29 beads/strand 15~16"
Natural Pyrite Beads Strand Irregular Size 3x4mm Hole 0.8mm about 125 beads/strand 15~16"